President Recep Tayyip Erdoğan on Thursday filed a legal complaint against Meral Akşener, chairman of the opposition İyi (Good) Party, for allegedly insulting him, Turkish news outlets reported. Erdoğan filed the complaint due to Akşener’s remarks at a rally in Denizli in the run-up to local elections on March 31. According to Erdoğan lawyer Hüseyin Aydın, Akşener said in Denizli on Wednesday said Erdoğan called the people of the province “terrorists” for their political choices. In his remarks Erdoğan had claimed that an alliance of opposition parties includes the Peoples’ Democratic Party (HDP), which he called the political representative of the outlawed Kurdistan Workers’ Party (PKK). Erdoğan’s lawyer claimed that the president warned the people against this relationship and urged them to be sensitive to it. 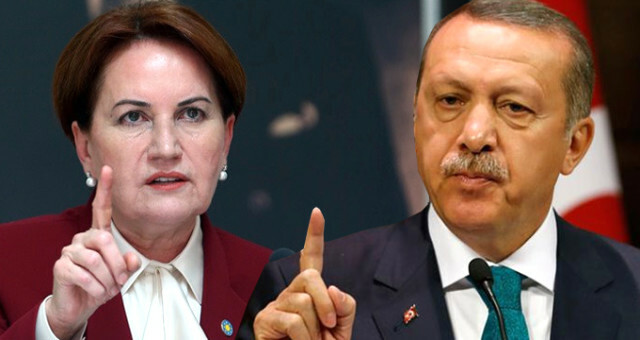 Erdoğan’s lawyer asked for a “case in the name of the public” against Akşener for insulting the president.